The rumour mill is heating up with the formal announcement of the 2018 Apple launch, now scheduled for Wednesday the 12th of September, U.S. time, or the 13th for those of us on the other side of the globe. Unsurprisingly, leading the rumour mill pack is 9to5Mac, who posted this apparently exclusive, leaked picture of two of the predicted three models that Apple will reveal from the Steve Jobs Theatre at Apple HQ in Cupertino, California. 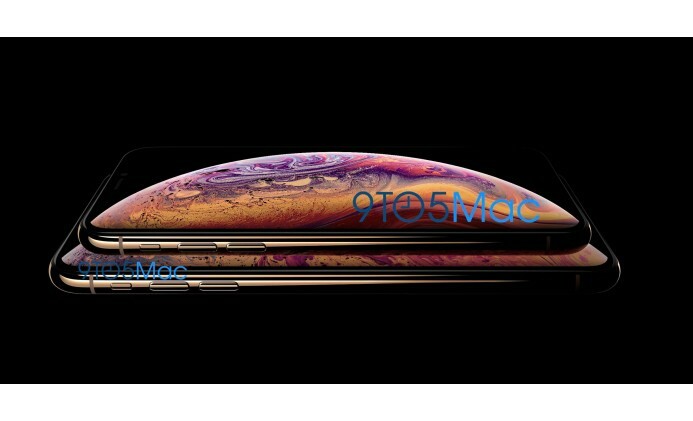 Given their history of on-the-mark rumours and “leaks”, we’re inclined to believe their prediction of both a 5.8-inch and a record size 6.5-inch “iPhone XS”, which isn’t too much of a stretch given Apple’s custom of adding an S to second-generation releases upgrading an existing formfactor, as opposed to introducing a brand new one. Both handsets will feature an OLED display and are rumoured to be launching in a new shade of gold which was previously leaked by Apple themselves on a version of the iPhone X, but to date hasn’t been available to purchase. Bit of a cheeky combination test the market and tease it too there Apple? Both handsets are predicted to hover around the price point of the current iPhone X, which at almost AU$2k for the top end model, is frankly becoming rather ridiculous. However, Apple are also predicted to release a 6.1-inch model with an LCD display, providing a lower price point for those of us that choke up at the thought of spending that much dosh on a phone. Just how much cheaper it will be, however, remains to be seen (iPhone 5C anyone?). The LCD version has been casually dubbed the iPhone 9 in the media, but given Apple skipped straight from the 8 to the X (spoken as 10) it could actually make sense as a retrospective release with older tech. According to case makers, the updated LCD model of new iPhone will have the same form factor as iPhone X - Making current model of iPhone X cases compatible. And of course Apple, as always, are staying mum until official launch.